Post and discuss Acchan interviews! "I think that fate is a very incomprehensible thing. What if, at that time, I hadn’t noticed AKB’s auditioning posters? What if, at that time, I hadn’t passed AKB’s audition? What if, at that time, I’d been defeated by the severity of the lessons and quit AKB? Thinking of those things, I understand that I have been led here to this place through coincidence. Yes, through many coincidences, I now at this moment, have the chance to write this column. This being the last article, again, I want to talk about these four years again. It has been such a wonderful time that it has almost seemed like a dream. Truly, I have been very lucky, and I have realized that I owe my life to those who have supported me. I am still a novice, and I cannot say that I have actually begun taking steps on my own. I have only finally begun to be able to find my way. The entertainment industry knows no bounds, and I am uneasy about whether I can really manage this. But, like so, looking back on everything that’s happened up until now, “In the beginning, I started off with nothing, so maybe things will work out,” and I become courageous. In the entertainment industry, there are many people with talent, and those people work so much harder than everyone else. Surely the day when I can stand on my own is still very far off. “Having made it up to this day is already a miracle,” my parents say, happy at my growth. Certainly, singing on Record Awards and Kouhaku as a member of AKB, and starring in the Taiga drama are miracles. They’re things worthy of gratitude. If it’s possible, I want these miracles to continue on. When I was young, I hated the name Atsuko. Somehow, it just felt so outdated and I thought it was terrible. Then, after joining the entertainment industry, and seeing the words Maeda Atsuko many times, I gradually came to like it. I’m especially happy when I’m called “Acchan”. It’s as if inside the shy and introverted young girl named Maeda Atsuko, there’s another person. That’s why I think this column’s title is “Acchan’s Feelings”. Saying “I think”, as if it doesn’t have to do with me, is because I didn’t really understand at the beginning of this series. But in these six months, thinking about myself, I feel like I’ve gotten to know a little bit more about the Acchan who’s always been hidden away. Everybody who has kept up with reading such immature articles - thank you very much. Acchan, again, will do her best." What does the sousenkyo mean to her? 25th of March is the last day of the 3-days SSA concert. After the end of the encore song , it was the moment where they can take a breath. Maeda Atsuko who was standing in the most front line with Takahashi Minami and Shinoda Mariko them, suddenly walk out to the front with some thinking on her face. " I have something to say ..."
The whole venue full of tension and shouts from the audience. 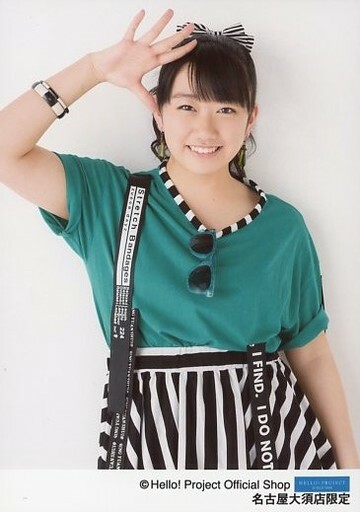 "I took part in the audition for AKB48 when I was 14 years old and joined the group as one of the 1st generation members. It was one of the biggest decisions of my life. Let me make a second big decision today "
Audiences shaken voice sounded throughout the venue. "Might be a lie!? ", "This can't be true!? ", "Acchan!?" Taking her deep breath, managed to hold her shaking body,finally, Maeda spoke it out-" I, Maeda Atsuko, am going to graduate from AKB48." The shouts from 20k of people shaked the arena. "It's been a month ,right? Time passing so fast ..."
Even we witnessed it but would also think that it seemed like a dream. That day, is it really announced? "Yes, it is. It's really announced (laugh). Mightbe, if I missed that day, I would not have the chance next time, I had this feeling, that's why I decided to announce it to everyone "
What does it mean that no chance next time? "Various timing overlapped together, if don't push myself with this kind of thinkings, I might not be able to make this decision. Even though I had decided, probably I couldn't tell them beforehand. Because I hate to announce "I will graduate today" suddenly, so no matter what I want to tell them more early. Although I was always thinking of a way that will not let fans shocked, but I couldn't think of one. So at least, I want to convey it to them little early"
Akimoto-san wrote on his G+ "When seeing Maeda putting her hand on her chest to make herself clam down, I know that 'She is going to announce it' ". "I wish to graduate from AKB and focus on my dream, on this actress career. I had discussed about my feeling with Akimoto -san long time ago. Though we talked about it, Akimoto-san and I thought that it would be quite long time in future. Akimoto-san had stopped me several times. But, when I discussed it with him again before this concert (SSA), 'In the end it's your decision, I'll leave it to you', he told me so. as well as 'If you want to announce it, please do it on the last day'. Then I felt that I should speak it at this timing, so I decided to do it. " Somewhere inside Maeda's inner heart was still shaking at that time. If I graduated, what would happen to AKB? Would I give troubles to my partners that we had worked hard together from the beginning till now? Full of these thoughts in her mind until the 1st day of the concert. From there began her long 3 days. "If I want to announce it on the last day, at least I want to tell the members. However, everyone had put a lot of efforts on this concert. But I want to tell them I'm going to graduate soon, I don't want them shaken. Though this is mean to hiding it from them, but it is even mean to obstruct the concert ... ... . So I cannot tell them. But before the 1st day of the show, when chatting with the members, yuko's making joke and said, 'If want to graduate someday, it would be good that we're all together' . Because it's too occasionally and I was so shocked, so i only can replied her,' Ah, Hng ... yes'. When watching Yuko joking and laughing without any worries on her face, I silently apologize in my heart. " Then the 1st day of the overture started. At the same time, the VTR of Tokyo Dome concert announced. When Maeda was preparing the next song heard this announcement at the backstage. "This is our dream. We've worked so hard to be able to dance on the stage in Tokyo Dome. " The distance from AKB48 theater located at Akihabara to the Tokyo Dome is 1830m. It's less than 20 minutes by walking. "We've spent 6 and half years to be there. But, like Takamina said, it is great that we didn't archive it so simple. Though this 1830m is full of twists and turns, but this is great to be like this." Many people also say that with the current AKB48, it should be more earlier to archive this dream. "We don't have this strength in the past. Just like what happened in Seibu Dome concert last year, we're still not able stand on this Tokyo Dome stage. " After this 1 year, do you think you have that strenth? "When they announced it, we were just feeling happy. We still don't know whether we have that strength to stand on it. But, if they made this announcement 1 year ago, we sure would be nervous instead of feeling happy." We go across this giant mountain like this. Acchan collapsed because of heat stroke during the Seibu Dome, it was very suffering. "That really made me so frustrated. I was so angry and frustrated to myself. Because it shouldn't be like that. This was our own concert, but I had to skip one song because not feeling well. Though many fans worrying and asking me, 'Are you ok?' , but I could not accept this warm words. Because this was my fault. When I collapsed, I felt that 'I am the worst'. I felt that I was spoiled. " The video of the backstage (Seibu Dome) was recorded into the documentary movie (show must go on 2012) this year, there're excuses saying that lack of well preparation by the management was one of the reason causing the chaos. "This is not right, it's not related to it (preparation from management). Though there are parts where fans and Akimoto-san said so to smooth things over for us, but we totally didn't see any mistakes made by the staffs. And we also feel that this is our responsibility to stand on the stage. We really did a worst job. We felt the same way. So, after that we discussed together about how to become more stronger, how to become a good team, and we worked hard on it. And then finally, the dream to Tokyo Dome come true! While listening to the announcement, thought that, 'AAAh, AKB48 finally can go across this huge mountain. And then it will be transformed into a new AKB48. Maybe my graduation at this moment is must to the team' ". The determination to announce her graduation was strengthened. "Last year end, we received the Japan Record Awards which we wanted to give it to Akimoto-san as a gift, and now the Tokyo Dome concert has been decided, I myself have no regrets. So no problem, I can say it out. I was thinking this alone "
It was very lively at the backstage after the 1st day show (SSA) finished. Members they were having their brightest smiles on their face because they finally made a revenge for their failure in Seibu Dome. When seeing these smiles, she felt an unknown sense of guilty. "Obviously they looked so happy, but at the end it probably would be messed up by me.This was suffering." The next day she went out eating with Itano Tomomi. "Tomo and I are very similiar in our personality. Both of us are very clumsy, and having the same thoughts about the job. So, we always talked about things happened now and future. That day we also talked about the Tokyo Dome and our future ... . Finally when it came to the graduation talk, I swallowed my words back to throat. Because Tomo looked very happy ... ..."
This 6 and half years of Maeda, is 6 1/2 years that she's fighting alone with her loneliness as the ACE. Even though she is introvert, although not many but she has several partners that are also the early-gen and are very close together. Nevertheless, as the "ACE of AKB48" and always facing the accusations, this is her fate to bear with this loneliness. No exception this time too. "However, if I didn't inform this to one of them, when the time came and if something happened, I couldn't handle the situation. I thought about this. Then, I thought of Takamina"
Mariko asked me ,"Why? ", tried to stop me. And the last day came. Before the show started, she found the butterfly bow that likes butterflies flying around at the backstage, and spoke to her lightly. "Could you give me sometime?" "After I told her that I was going to say it, Takamina who stayed quiet and listen to my words just now suddenly spoke. 'I also have something need to say too. Because I know Atsuko couldn't say much in words, so I will say it.' "
After 3 hours, after heard the graduation announcement from Maeda, Takahashi faced to the shaken audiences and members, and said if softly. 1 year ago, when eating with with Maeda, we already discussed about it. So, this announcement is definitely not acting on impulse, it's the decision that made by Maeda who had went through troubles, confusion and careful consideration. "This 6 1/2 years Takamina is always watching over me beside me. She knows my weakness very well. So, in order to not letting people misunderstood me because of my lack of words expression, in order to not letting people misunderstood me that this graduation was just acting on impulse, and she helped me on it ... ..."
This is a little story that you can feel the strong relationship between both of them. However, surprisingly Maeda and Takahashi are seldom together. "Surprisingly, we both are seldom together in private. But, at this kind of moment, it is still Takamina"
How about the members reaction? After it finished, at the backstage, Maeda was apologizing to everyone she met and said "Sorry for hiding it from you". "What makes me happy is, everyone say "Do your best" to encourage me. Because I think that it cannot help to be hated ... ... . However, those members that are close to me having different reaction. Tomo, she told me frankly that 'I felt shocked and hurt' because she didn't know about it. I felt deep apologies to her, but at the same time I felt happy that she was thinking so. I did talk about it (graduation) to Mariko implicitly before the concert started. But I didn't specify it. ' There's no need to graduate, why you want to do so?' she try to stop me. Mariko thinks that we can be AKB at the same time we can also archive our dream. This is what she thought. This is a great thought. I feel it awesome. But, my situation is I cannot focus on 2 things at the same time, that's my personality ... especially when both become so important. " What is the main reason of her made this graduation decision? "Although I hate to say that I am a clumsy person but in fact I really am. Because I am dealing with myself in this 20 years, I find my clumsiness very annoying. Started from 3 years ago, little by little, I was offered opportunities to work as an actress, but in the beginning it's very hard to maintain both ... ... . Recently, although I finally found the balance, but somewhere inside my inner heart there's me who keep on saying 'I want to focus on one thing wholeheartedly'. I don't think I can act, that's why I wish I can focus on sharpening my acting skill from now onwards, and I know that this is not an easy job. However, I only can accept it if I can focus on one thing wholeheartedly. I want to push myself hard in such situation. " She still feels very sad until now. "And, I found out that AKB become my place to escape from outside unconsciously. When I was offered Solo work, during the beginning I was afraid to go out from theater, but the feeling of 'I still have AKB' become my courage. However, I become too rely on it unconsciously. Even though I got offer to act in drama etc etc, but inner heart there's a spoiled part saying 'even if i failed, I can go back to AKB'. I cannot forgive myself like this. " If she has 10, she want to put all 10 into one thing, and only that she can accept it, that kind of personality. AKB48 is supported by a clumsy and stoic girl until now. But everytime she thinks of her fans feeling, Maeda feels very sad. "I was born in AKB, and grows up in AKB. It is the fans that raise me up. Of course, I'm not going to retired from the entertainment industry. But, fans is watching the 'Maeda Atsuko from AKB48' who are singing and dancing and they likes it. And they are always supporting me. The feeling that I want to repay this appreciation and kindness still exists in my heart now even had announced the graduation. Everytime when I think about it, I feel very sad ... ... "
Even so Maeda still chose to graduate, because there's a final reason behind it. About the members reaction after the annoucement of her graduation, there's one member totally different from others and told Maeda her thoughts. That was Oshima Yuko, who joked that 'If want to graduate, it would be good that everyone together' on the 1st day.
" 'Why she didn't say congratulation to her like other members?' probably someone will say. However, when I found Yuko at the backstage, she cried very hard, and then came to me and said 'I feel so worried about AKB from now onwards' ,'If Acchan graduated, what should AKB do from now!?' .... ... . I was really happy with Yuko's feeling, again I felt moved.Yuko is different from Takamina, Mariko, Tomo them, she is special. " Yuko , as a rival, and also having the same dream, like a sister. The 1st sousenkyo 3 years ago makes they both a very special relationship. Yuko who is the 2nd-gen and mostly standing on 4th~5th position before, became the 2nd place in the 1st sousenkyo. "Yuko and I are always being compared in various kind of situation, and become a person who can really think of AKB seriously. That's why, this is great that we have sousenkyo!" Maeda got the 1st place at the 1st sousenkyo and getting the center position at the singles from then. However, before it, she was being called as "The irreplacable ACE". Even there's no sousenkyo, she still can stand at the center position. Sousenkyo is a tough test to Maeda. The action of the unsatisfied ANTI fan towards the management is the spear. In fact, when announcing the 2nd place, a part of the merciless ANTI shouting the Maeda Call and this became a famous incident. However, she said, ' It is great to have Sousenkyo'. Why is it? "Because this is the 1st time I was being told by the fans the place I belong. Before it, I didn't know why I was at that place. So, no matter the 1st or 2nd or 3rd, I felt that they were telling me , 'Acchan, it's fine you stay at this position' , I am very happy." Her existence being recognized is what she pursue in the sousenkyo. This is my way to repay the kindness. The final reason of Maeda graduation decision. That is, to archive the concept of AKB48 " Get yourself trained here and archive your dream". Become independant in the entertainment industry and pave the way for the juniors. That's what she thinks of. "To me, AKB is an existence that I myself cannot split with. This is my hometown. For the juniors, I wish people are able to say that 'I want to work with the kids that come out from AKB'. I will contribute everything I have for this." This year sousenkyo she will be in the guardian position. "I want to give my support to them from place that a bit far from there. But, even just watching it I still can feel the heart beats with members together." The face wrinkle a bit, and Acchan smiles. I am really sorry to be so clumsy from the beginning till the end. But, this 6 1/2 years are full of happiness. Atsuko Maeda, a core member of the mega-popular all-girl idol group AKB48, will "graduate" from the group after concerts at Tokyo Dome from Friday to Sunday and at the AKB48 Theater in Tokyo's Akihabara district on Monday.